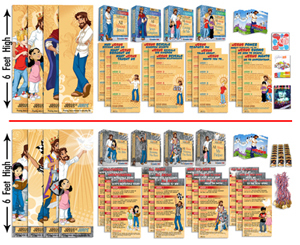 The traditional version of the curriculum includes a Binder & CD containing all files. 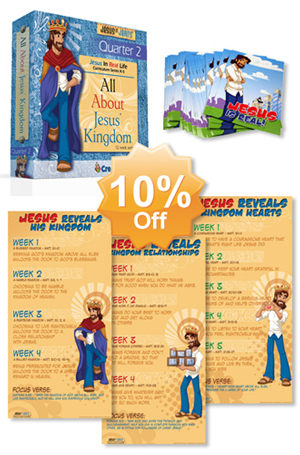 Save 10% off full retail pricing when you purchase a Curriculum Value Pack. 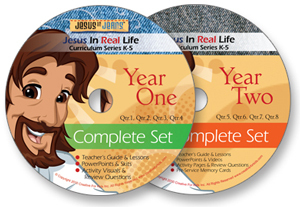 Save 15% off full retail pricing when you purchase a Curriculum Ultimate Value Pack. * Depending on the specific quarter, some Ultimate Value Packs may include music CD, music DVD, buttons, or medals. Each quarter varies depending on what is recommended. BEST VALUE. Save 20% off full retail pricing when you purchase a Colossal Ultimate Value Pack. 4 - 23 x 72 inch Vinyl Promo Banner, one for each Qtr. MOST COST EFFECTIVE VALUE. Save 10%off full retail pricing compared to purchasing each quarter on CD. 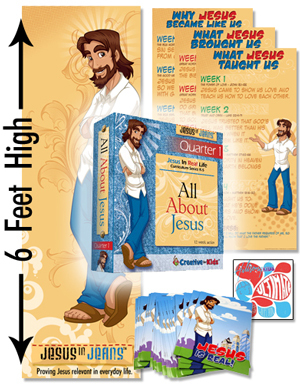 All About Jesus - Qtr. 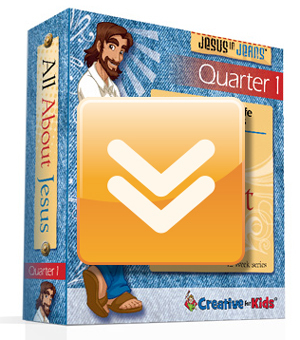 All About Jesus' Kingdom - Qtr. 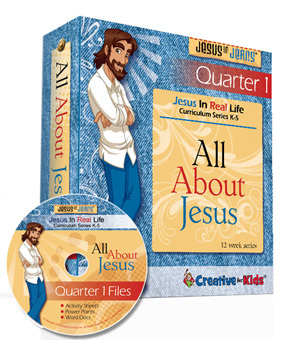 All About Jesus Living In Me - Qtr. All About Jesus Working Through Me - Qtr. All About My Bible - Qtr. All About Running The Race - Qtr. All About Winning The Battle - Qtr. All About My Helper (The Holy Spirit) - Qtr.